PARALLEL market rates remained stable yesterday following the decision by Reserve Bank of Zimbabwe Governor Dr John Mangudya to liberalise the United States dollar exchange rate against Real Time Gross Settlement balances. The containment of the parallel market rate has been described by economic analysts as a sign of confidence in the Monetary Policy measures announced by the central bank. 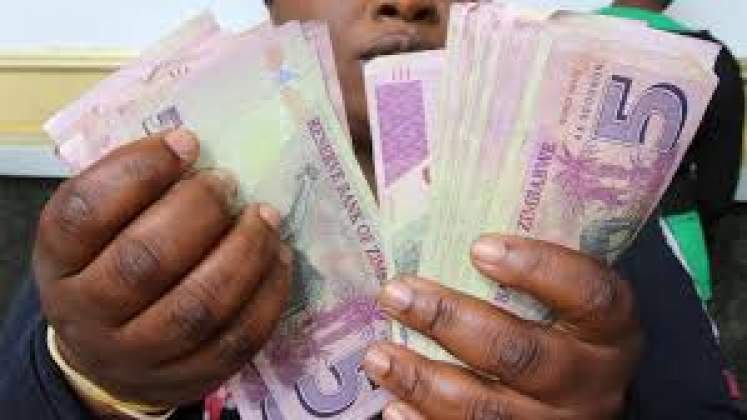 A survey by our Harare Bureau yesterday showed that the black market rate of the US was stable as it hovered around 1:3.5 bond notes which is the figure that was prevailing before the announcement of Monetary Policy Statement on Wednesday. The black market, however, maintained a two tier rate of the US dollar to the bond note with Eco-cash transfers pegged at 1:3.8. In an interview yesterday, Labour and Economic Development Research Institute of Zimbabwe director Dr Godfrey Kanyenze said the black market rate should fall gradually because what the central bank did was what industry had been calling for. "The release of the exchange rate is what the market has always been pushing. The parallel market rate should fall but that will only happen if Government manages to secure enough lines of credit to back up the RTGS dollar. You will realise that there is a lot of demand for the US dollar to carry out various activities," said Dr Kanyenze. "We have to state that the falling of the parallel market is achievable but it depends on the availability of adequate lines of credit so that we have reserves." University of Zimbabwe Economics Department chairperson, Professor Albert Makochekanwa, said the black market rate would ultimately fall should banks be allowed to trade in forex as announced by the central bank. "Of course, it might be too early now but definitely that decision by the central bank will see black market rates tumbling," said Prof Makochekanwa. Several foreign exchange traders in the black market spoken to said business was low as the market anticipated how the policy measures by Dr Mangudya would unfold. "Business was low today, maybe the reason is that it was a holiday. It could also be as a result of the anticipation by the market to see the measures by the central bank coming into effect," said Mr Marvellous Makunike. The central bank liberalised the US dollar exchange rate against RTGS balances, bond notes and all currencies in the multi-currency basket as it seeks to formalise trade in foreign currency.